Our mission is to help jewelry studios be successful. We believe in building long-term relationships with every customer, supplier and team member we work with. That means sourcing with care, providing quality educational resources and uniting our community of makers whenever possible. Small business is our passion. We are a family owned and operated company that likes to do things a little differently. We know you are too. Welcome. 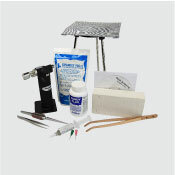 We provide all the raw materials you need to create a bestselling jewelry collection including wire, sheet and solder to stock your jeweler’s bench. 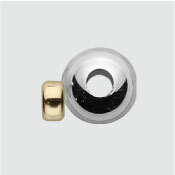 We carry a complete selection of essential components like findings, settings, chain and charms. 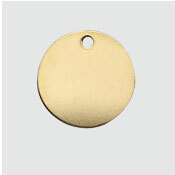 We also offer complementary product lines in other metals such as gold-filled, copper, brass, 14kt gold and pewter. Metalsmiths can browse our wide selection of jewelry making tools ranging from hand tools to consumables and popular equipment pieces. 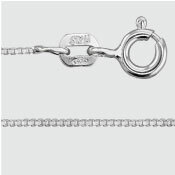 But, we are most proud of the work we do with thousands of jewelry makers around the globe. Clients are friends and partners. We understand our role is to make sourcing supplies easy. We get it. We work with customers to communicate and deliver reliably so you know you can count on us. We take our responsibilities to disclose and educate very seriously. You will find extensive details online for every product we sell so you know exactly what you are buying. We also publish educational content on the Halstead Jewelry Blog every week to help you stay informed and on top of vital information for jewelers. Check out our archives for resources. Halstead is different because of the relationships we forge in the jewelry making community. We are ardent supporters of organizations and events that benefit makers. We are proud to sponsor the Society of North American Goldsmiths as well as many regional symposiums. We work closely with university metals programs and vocational studio schools to support the education of qualified jewelers. We choose our suppliers carefully to source materials we can stand behind made by companies we admire. Halstead has extensive continuing education opportunities for our employees, many of whom have been with us for over a decade. That says a lot about a company. I would like to say how impressed I am from the customer support side of Halstead. You put the human element into your business and it means a lot to me as a customer. Your selection of products are exactly what I was looking for and more! 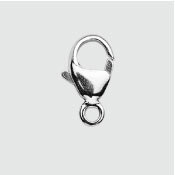 I found your online store while desperately searching for 3mm bezels and larger gauge silver wire for my new product line. I was delightfully surprised at the selection and quality of goods you offer. The quality exceeded my expectations when I opened the box and saw first hand that I had made the right choice. Based on every aspect of my customer experience, Halstead has now become my primary source for my business' jewelry supply needs! Well done, Halstead! Very well done! We are proud to be a small, family owned business. We believe in the power of entrepreneurship to improve the lives of families in our communities. Halstead is proud to offer the Halstead Grant business development program for emerging artists to help new jewelers start their businesses on the right foot. The program offers funding and recognition to talented, well-prepared makers. More importantly, the application process guides candidates through a business planning experience that is unparalleled in the industry. Finalists receive individual feedback and guidance to help their businesses grow stronger. You will find many small businesses related resources throughout our grant website and in our blog. We succeed when you succeed. And we are here to help. See the difference in quality, service and speed.